The most used and thus worst password of the world and what we can learn from Star Trek Data about password security. Hi, I think everybody knows what a pain passwords have become in the era of the Internet. You constantly have to register new accounts, remember an ever growing number of passwords (and usernames), unless you choose the same weak password over and over again. But using a weak password (like 123456, a name, or your birthday) provides little to no security, and is like using no password at all. A secure password, however, has to be unique, it has to be long, and it better be random. 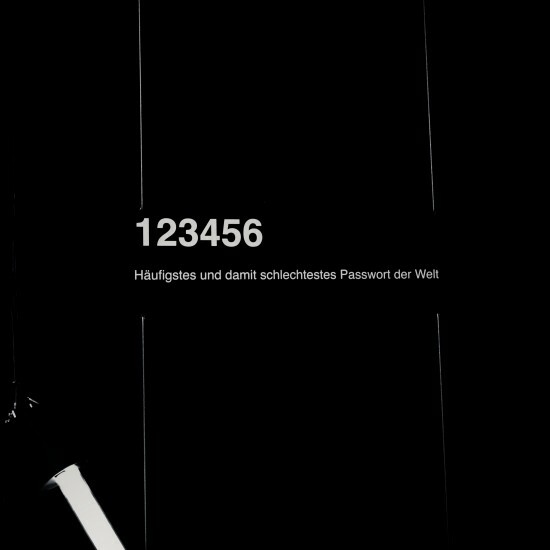 What we can learn from Data: In the long run, it is impossible to remember all passwords (at least if you are not an android), and it is better to write insanely secure passwords down, instead of using the same weak password over and over again.